The holidays are officially over, friends. Before you know it, the summer months and bikini season will be here. Are you ready? If you had one too many BBQ beef sandwiches and beers, it might be time to take a few days to improve your digestive health and kick those ugly toxins and bloating to the curb. If you took a holiday vacation in a foreign country, then you really want to be sure that you detox! Who knows what you might have picked up, no matter how careful you were! Take a look at our list of the top 10 detox teas that will cleanse the system and get you ready for this upcoming summer season! 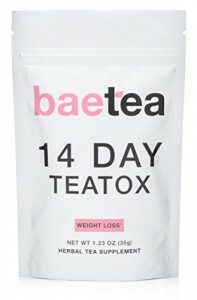 If you’ve noticed that your complexion isn’t what it used to be, this is the detox tea for you. Filled with healing green tea, rose, and hibiscus, this tea will remove toxins and leave your skin brighter and clearer than it has been! This is perfect for just about everyone and it tastes divine! 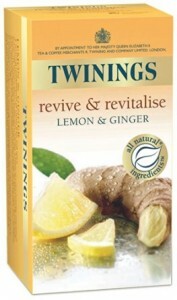 Naturally detoxing green tea with lemongrass and mate, this tea is good hot or iced. It also comes in a cute little reusable tin that you can store in your purse. Buy two and save one to use before the holidays! This is an oldie, but a goodie! Twinings has been serving up tea for almost 300 years, so they know what they are doing. This tea has plenty of detoxing agents with lemon and ginger root, as well as linden and blackberry leaves for extra flavor. Trendy name, but serious detox power. 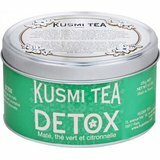 If you are truly committed to detoxing, this 14 day detox treatment is for you. BaeTea has serious detoxing compounds such as senna leaf and ginger root, along with Guarana for appetite control, Oolong Wu Yi, honey, lemon, and pomegranate for intense, satisfying flavor. 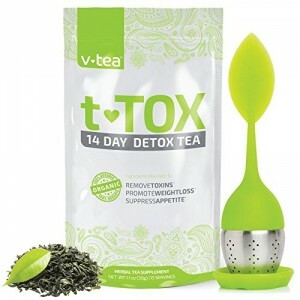 This is another popular 14 day detox program which contains tons of super powerful detoxing agents such as nettle leaf, burdock root, dandelion, holy basil, and fenugreek seeds. This same company also sells an evening tea called “Evening Flush” that you can drink before bedtime for super deluxe cleansing. Comes with a cute little tea spoon and strainer! 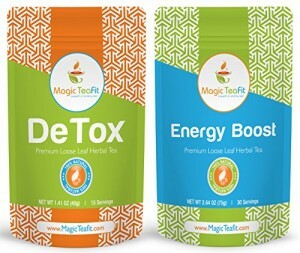 This company has 4 different detox teas, depending on your problem. 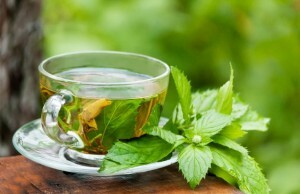 There are teas to energize, help you sleep better, cleanse, and generally feel better. All help to flush toxins from the body and reduce that awful bloat. All of these are jam packed with detoxing herbs such as nettle, milk thistle, senna, burdock root, and dandelion. It’s not as sweet as some of the detox teas here, so if you like your tea on the sweet side, better skip this one. This tea is made in the USA in small batches, to ensure that you always get top quality tea. Despite the name, this tea does not rely on magic, but on proven detox herbs such as nettle, ginger, cardamom, dandelion and Rooibos. 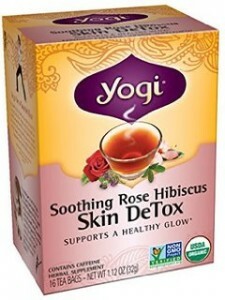 It also has hibiscus and cinnamon to relieve bloating and make your skin glow. 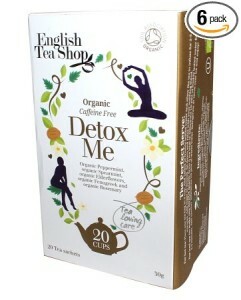 Nothing is more English than tea, so it’s no wonder that the English Tea Shop has one of the best detox teas around! 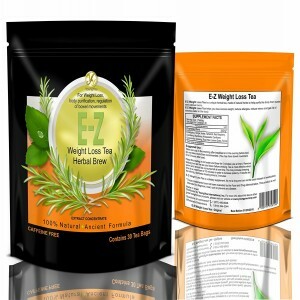 Contains 20 bags of premium teas, filled with detoxing herbs such as rosemary, spearmint, fenugreek, and more. These teas are completely organic, which means they are also caffeine free. If all of this detoxing sounds great, but your digestive system is pretty sensitive, this is the one for you. 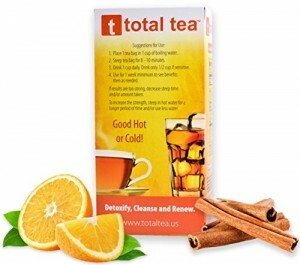 This detox tea has a natural anti-inflammatory blend which soothes the digestive tract while it removes toxins. 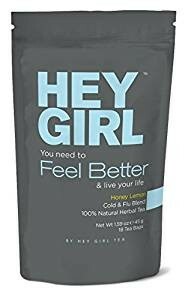 This has no artificial colors or preservatives, but it does have plenty of flavor with peppermint, chamomile, and cinnamon. Well, the name alone gives you an idea about this tea! The company claims you will not only detox, but that you can lose 1 pound per day. It has a unique blend of ginger, eucalyptus, ginseng, lemon grass, red raspberry leaf, and tamarind which is said to help stop cravings and hunger pangs for up to 6 hours. If you want to lose weight and detox, this is a good choice. 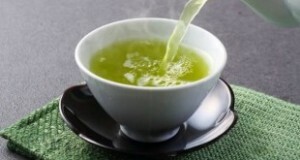 Many people say that this tea was the only one that actually made them lose weight. As with any supplement, please check with your doctor before you consume a detox tea. Everyone is unique and your doctor is the best source of information regarding these teas and your particular health situation. Detoxification has been practiced for centuries and used all over the world to improve your health, as well as protect you from future illnesses.